Vasily Gatov is visiting fellow at the Center of Communication Leadership and Policy at USC Annenberg, and is a Russian media researcher and author based in Boston. He has over 30 years of professional experience in domestic and international media, as well as media analysis, strategy and development. I personally know many people who work at RT, and I have known some of them for over 20 years. When we first met in the “stormy 1990s”, some of them, like myself, were working for foreign TV bureaus in Moscow, others for independent radio. All those aspiring young people were enthusiastic, cosmopolitan, spoke a number of languages and loved bourgeois traits (which, yes, includes golf). These boys and girls eventually hit western media’s glass ceiling. 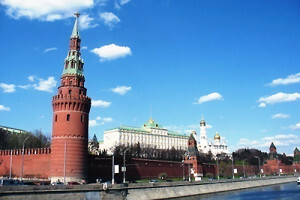 In the early 2000s, the big TV and news media bureaus in Moscow were curtailed – either due to economic constraints or decreasing interest in Russia. Very few of the capable producers, field reporters and editors continued their careers at the BBC, Australia’s ABC News, German public service broadcaster ZDF or Reuters. Western media, once enchanted with perestroika and glasnost’, and later the seismic events of the Yeltsin era, trained and taught this “local staff”, myself included. In the 2000-2004 period, most of these people lost their comfortable jobs, failed to qualify for transfers to other countries or find places for themselves at the Moscow offices of other foreign media outlets. A decade later, most of them were working for Russian state television and other state media such as the newly born Russia Today. Today, they are the bosses and leaders of this TV channel, which is now regarded as a major threat to western democracy. It is well known that Margarita Simonyan, RT’s editor-in-chief, developed some sort of hostility to the USA after a FLEX exchange she attended at the age of 15. A girl from the bustling seaside resort of Sochi found herself in Bristol, New Hampshire (population 1,688 in 2010) – not exactly the centre of the universe. Imagine someone who grew up at the seaside of Miami beach being diverted to an obscure depopulated village in Karelia, northwest Russia? You may fall in love with lakes and rocks, even with the nice cumbersome people who live there, but you’ll never sympathise with the country which sent you to the middle of nowhere – in the case of Simonyan, that’s FLEX (and the State Department that oversaw the programme). But Margarita Simonyan isn’t alone in her vigorous love-hate relationship with America and the west. Many of her accomplices at RT are disgruntled former staffers of western media in Moscow. These people are well-trained, well-educated, well-travelled – and completely disillusioned in press freedom, having formed their opinions after the abrupt ending of their comfortable and well-paid careers in western bureaus in Moscow. They all have this unifying event in the past: when you’re fired (or rejected) by someone who defined you and your life, it leaves a taste of betrayal in the mouth. When academic colleagues collect data and dissect RT’s malignant practices in an attempt to reconstruct the massive system of orchestrated agenda manipulation, I have to say – I don’t see anything of the sort. What I see are the faces of my former friends and colleagues who, in Star Wars terms, went to the Dark Side. Most of RT’s professional Russian leadership have the following background: once a ZDF producer, once a Agence France Press reporter, once a Golf Digest publisher… Each of them has a desire for revenge, and with time this desire only intensifies. To my colleagues researching Russian propaganda, I have this advice: don’t overcomplicate RT’s practices. It is possible you will find some vicious patterns and suspicious signs of high intelligence capabilities – but this evidence is false. What you see is not a calculated offensive operation with long-term goals, but a pattern of rage and revenge. Furious in their revenge, people of RT and other Russian “disinformation troops” are merely trying to implement their sense of betrayal. They share this feeling with the Kremlin, which feels deceived by the triumphant post-Cold War West. And, because of this shared hate (and zeal), they tirelessly work and direct work of others – to revenge, to humiliate and deceive in return. While I agree generally with the importance of scientific and data-rich research of RT’s activities, I see fewer reasons to develop any recommendations based on these kind of studies. There’s no algorithm in RT’s malevolence, no scrupulous propaganda technology. What powers it is the burning hatred of smart boys and girls who once thought of the West – and particularly Western media – as the “shining city on the hill”, but now feel offended and deceived. The ingenuity of broken illusions is the fuel of RT, coupled with lavish state funding and emotional reimbursement. Nothing is more creative than a desire for revenge – and this means that no “computational” or restrictive measures for opposing this revenge will be successful. Indeed, a very similar ethos is present among RT’s western staff. Most of them are either outcasts in the journalism of their respective countries (and therefore join RT to wage revenge as well) or junior graduates who had never been really accepted into western journalism, and who easily consume tales and truths, “shaken, not stirred” and supplied by older and more experienced RT staffers. That said, I am quite pessimistic about any perspective of policy or other means of response to RT’s continuing campaign. The broadcaster’s staff share the employer’s passionate position against liberal values, free and independent journalism, impartial and balanced reporting – and do their best to perform. Unless the Kremlin decides to opt for some sort of “informational détente” with the West – guided by some pragmatic reasons or terms of trade – RT will continue to efficiently overcome international barriers, playing on the devils and perils of Western societies and cleverly exploiting the weaknesses of the liberal political order. Well, “efficiently” is something of an overstatement: RT continuously inflates its audience, which has been reported time and again, and this doesn’t bode well for the declarations of grandeur for which Margarita Simonyan is so well known. It is powered by revenge for a personal offence, nothing else.